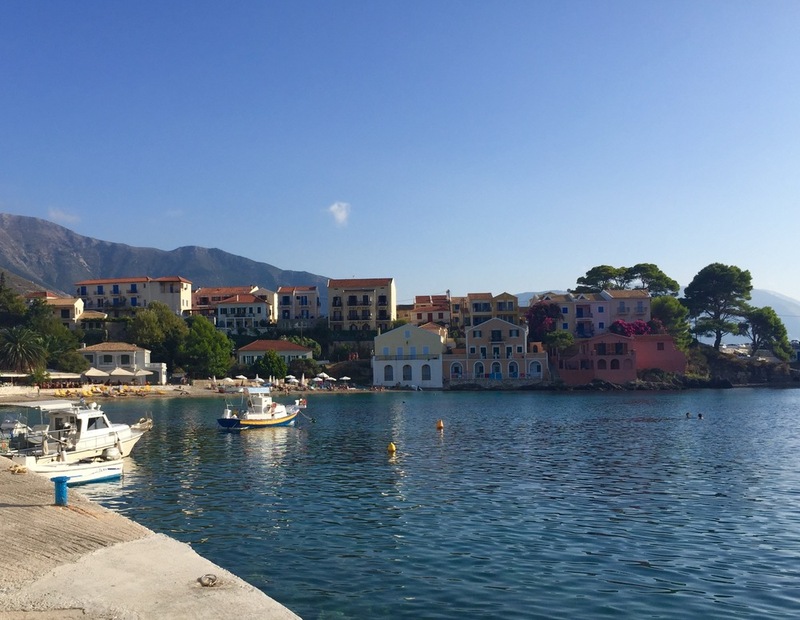 Last year I went to Kefalonia and having had such a magical time there, I just had to share it with you. It was my honeymoon and after months which seemed to be taken up with real first world problems, like Hoi Sin or BBQ sauce for the duck parcels? Just kidding! But organising a wedding does leave you pretty knackered. So after months of driving myself mad and going full circle with exotic islands and road trips around Italy, we realised all we actually wanted was a relaxing holiday with no jet lag and a little adventure somewhere new. Kefalonia came highly recommended by a friend. She described it as being one of the most beautiful and romantic places she’d been to and it certainly lived up to her words. After doing my research starting with boutique hotels, I discovered the north of the island was the most unspoilt and least commercial. That’s where I found a Mr & Mrs Smith listed hotel called Emelisse, located on a cliff edge near Fiscardo and almost completely surrounded by ocean. The rooms were stylish and cosy and the breakfast was the best I've ever had. Lazy days spent sunbathing in private areas, jumping off cliff edges, swimming from their private rock beach and having sundowner cocktails. Pretty perfect, but with my itchy feet the rest of the holiday was spent trotting round the island looking for new experiences. We found this island full of warm, friendly people and is a very reasonably priced location, if you're on a budget it’s simply the perfect place. So here are The Grown Up Edit's tips on where to go. Myrtos beach is described as one of the most dramatic beaches in Greece and features regularly in the best beaches list. You will definitely want to take a few pics on the drive down. Jerusalem Beach by contrast of Myrtos is quiet and rustic. It has a great taverna Odisseas, perfect for lunch or early dinner while you're still in your bikini. A five minute drive from Jeruselum beach is Alaites, it’s tiny beach and bar called Acqua, perfect to watch the sunset with great food in the style of the owner who is Greek/Italian. Asos is a beautiful village which is like stepping back in time with a sweet beach and great restaurants. You will want to stay into the evening. Hire a sailing boat, we had no wind but it was still fun soaking up the views and some G&T’s. My final tip is buy the swim shoes, not very fashionista but with painful pebbled beaches you’ll be a lot more Ursula Andres.